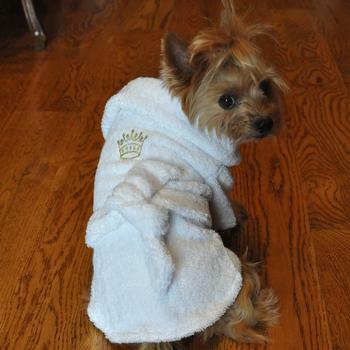 You'll LOVE our 100% Cotton Turkish Terrycloth Bathrobe. 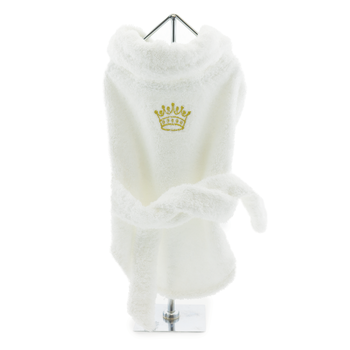 The boy's robe features an embroidered Gold Crown for your little King. The bathrobe has a hook and loop closure at the chest and bathrobe tie around the back. 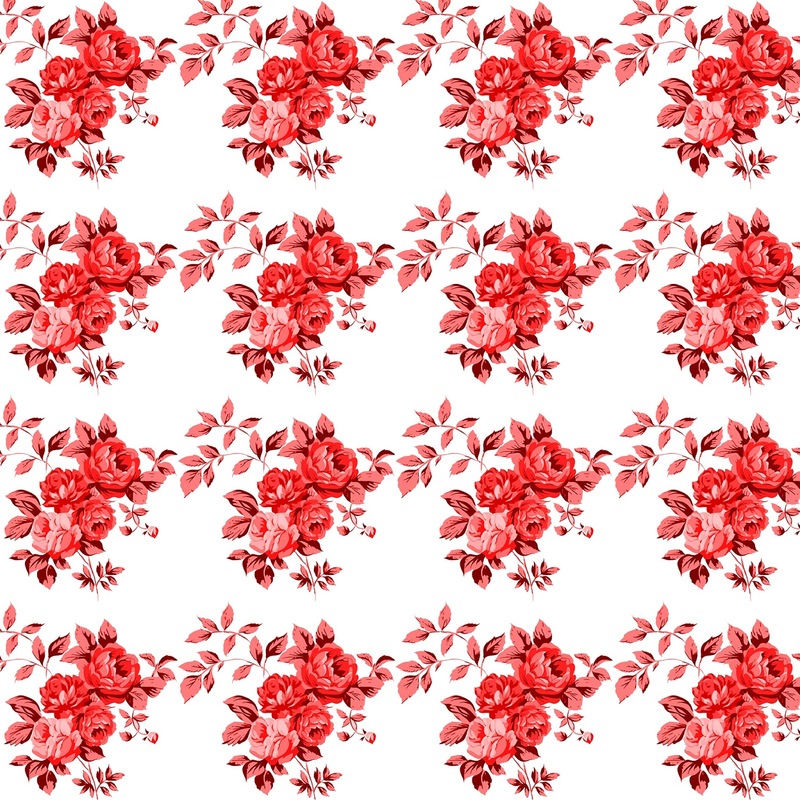 So adorable for lounging around the pool or lazy beach days. To measure your dog correctly always use a soft tape measure and always measure your dog when they are standing. Please do not assume your dog is, for example, a small/medium/large sized dog and will require a small/medium/large size garment. This is incorrect and the garment will be too small. All dogs vary in size even those of the same breed so please do measure your dog. Back Length - Place tape measure on your dog's shoulder blades and measure to the base of the tail. Chest - Again place tape measure on the dog's shoulder blades and measure right around the chest at the deepest point. This is usually following the line from the shoulder blades downwards just behind the front legs. Neck - For clothing and harnesses measure around the dog's neck at the widest point where the neck meets the body. For collars measure halfway up the neck and don't forget that for a comfortable fit you must allow two fingers to be able to fit between the collar and your dog's neck. Girth - Your dog's girth measurement is taken at the widest part of the chest wall usually just before the end of the rib cage and where your dog's body starts to tuck up into the waistline. Hold the tape measure approximately three ribs in from the end of the rib cage and measure all the way around.